Do you use an iPhone on the O2-UK network and find that you can no longer send or receive MMS since the last iPhone software update? 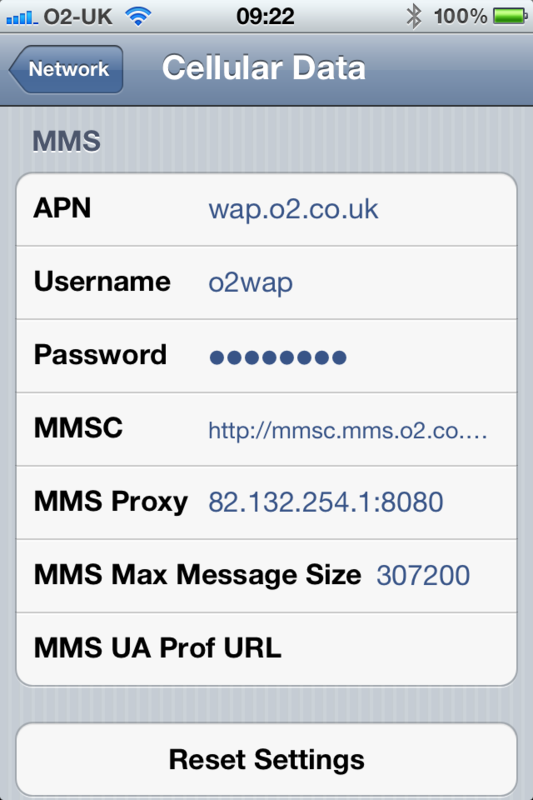 It seems that Apple’s carrier bundle settings for O2-UK don’t recognise that some O2 customers aren’t on official iPhone tariffs and so need different MMS settings to the default. Below are the O2 MMS settings that you should use if you are not on an official iPhone tariff. For example you might be fortunate enough to still be on a Simplicity tariff with unlimited data. Switch your iPhone off and on again after making these changes and MMS should be fully restored. This entry was posted in Apple, iPhone, Techie and tagged iPhone, MMS, MMSC, mmsc.mms.o2.co.uk, O2, O2-UK, Simplicity by djh. Bookmark the permalink.